경상남도 창원시 다호리에 있는 고대국가 형성기의 고분이다. 구릉지와 저습한 평지의 지형관계로 목제품 유물의 보존이 가능한 지형이다. 조사에 의하면 대부분이 널무덤(목관묘)이며, 일부에서 독무덤(옹관묘)이 나타났다. 널무덤은 무덤구덩이(묘광)의 크기와 껴묻거리구덩이(부장갱)의 유무에 따라 3가지 유형으로 나누어진다. 이러한 3유형은 무덤 주인의 신분차이에 의한 것으로 보고 있다. 1호 목관묘에서 보이는 나무널은 지름 1m의 통나무를 세로로 쪼개어 속을 파서 만든 구유 모양으로, 우리나라 서북지방 나무널과 차이가 난다. 출토유물은 동검, 중국거울(한경)을 비롯한 청동기와 오수전, 철검, 손칼, 부어 만든 도끼(주조철부), 두드려 만든 판상철부 등 철기제품이 나왔다. 또한 칼집, 활, 화살, 합, 붓, 부채, 칠기와 민무늬토기, 와질토기가 출토되었다. 특히 중국 거울인 성운경과 중국 화폐인 오수전이 출토되어 다호리 고분이 서기 1세기 후반에서 기원전 1세기 사이의 유적임을 알려주고 있다. 다양한 철기와 중국계 유물의 출토로 보아, 이 지역의 철 생산을 바탕으로 중국·낙랑과 교역한 세력의 지배자 무덤으로 보여진다. 다호리 고분은 한국고대사의 공백기인 고대국가 형성시기에 대한 새로운 자료를 제공해 주고 있다. 또한 통나무를 파내고 만든 목널의 출토는 나무널에 대한 새로운 형태를 제시하였으며, 문자 생활의 증거인 붓과 가야금의 원조인 현악기 등이 나왔으며, 한편 오수전, 성운경을 통해 중국·낙랑과 활발한 교역을 하였음을 알 수 있는 유적으로 당시 문화상을 확인할 수 있는 자료로 평가된다. Corresponding to the Three Kingdoms Period, the tomb is located in Daho-ri, Changwon-gun, Gyeongsangnam-do. 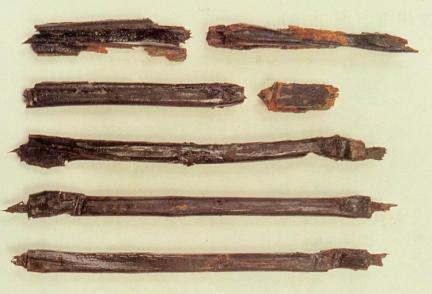 Because of the topography featuring hill and humid flat land, the wooden relics were able to endure for a long period. An investigation found that most tombs are wooden coffin tombs and jar coffin tomb in part. The wooden coffin tomb is classified into three types depending on the size of the chamber as well as whether there is any annex chamber for grave goods or not. These three types are categorized based on the tomb owner's social standing. 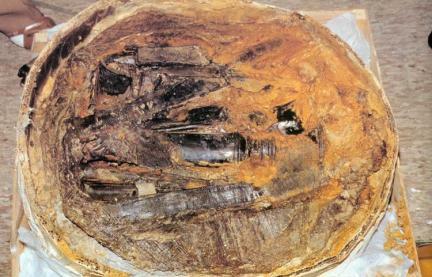 The wooden coffin discovered at Wooden Coffin Tomb No. 1 was made by vertically cutting into two a log with diameter of 1m in manger shape, unlike the wooden coffin in the west-north area. 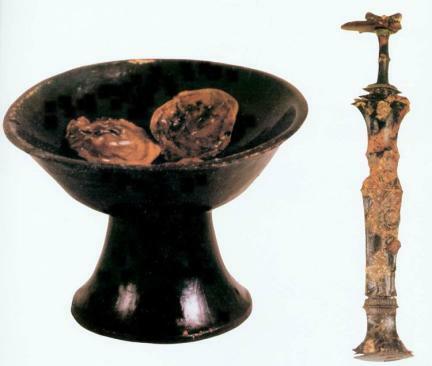 The excavated relics include bronze wares such as bronze sword and Chinese mirror (Hangyeong) and ironware such as Osujeon (coin), iron sword, dagger, cast iron axe, flat iron axe, etc. Sheath, bow, arrow, brass bowl, brush, fan, lacquer ware, and pattern-less pottery were excavated as well. 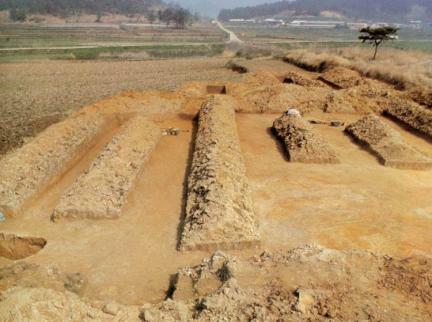 Seongungyeong, which is a Chinese mirror, and Osujeon, a Chinese coin, were discovered, indicating that the Tombs in Daho-ri are relics estimated to date back to the late 1st Century BC to 1st Century AD. Considering the excavated various ironware pieces and the Chinese line of relics, it seems to be the tomb of a ruler who engaged in trade with Chinese and Nangnang based on the iron produced in this area. 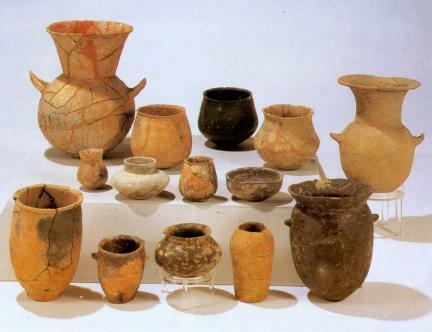 The Ancient Tombs in Daho-ri provides new sources of knowledge as to the formation period of old states. 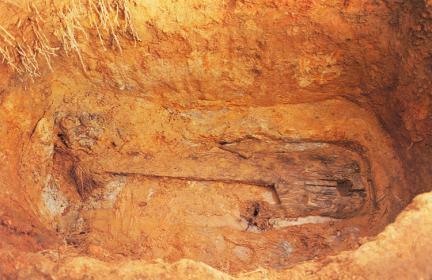 Moreover, the excavated log coffin presented a new type of wooden coffin, suggesting that there were active trades with China and Nangnang based on brush and Osujeon, Seongungyeong, serving as a source of knowledge confirming the cultural aspect at that time.